Robo advisors have been offering services that were in the past offered by wealth management firms. 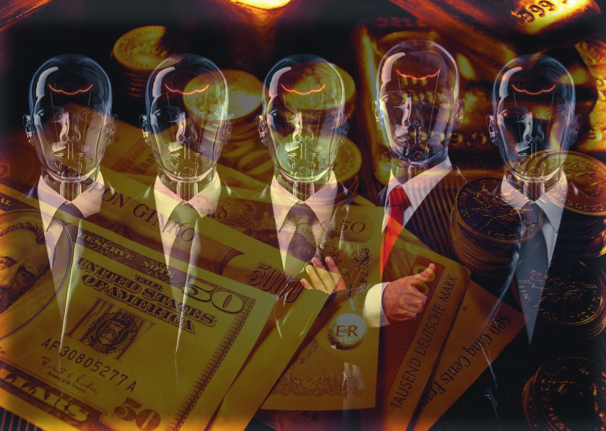 Some in the wealth management industry have been becoming concerned that robo advisors could draw away a lot of their business. According to CEB Financial Services (2015) this is probably unlikely at the current time, but it would be unwise to pay these services no regard at all. Well, this is the term that is used to describe software that has been built to deliver good investment advice to consumers. 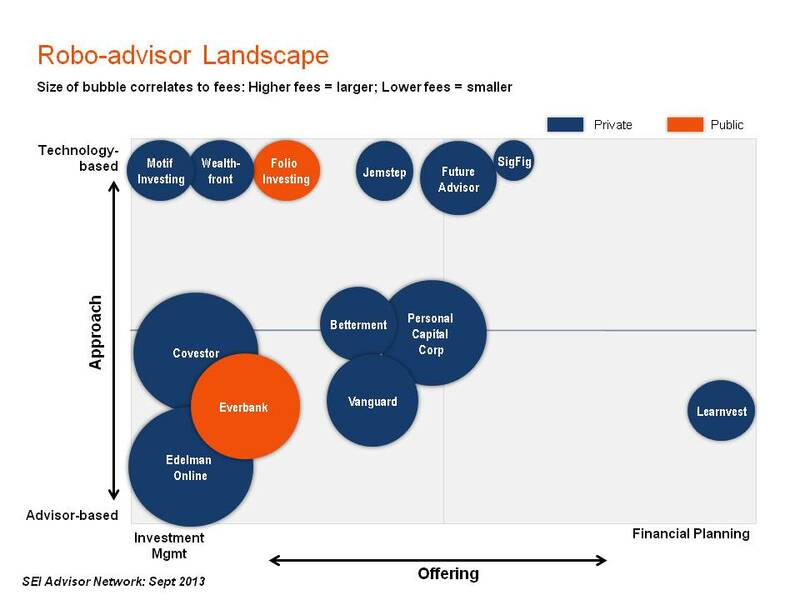 Such robo advisors are growing quickly, and mergers and acquisitions have already been happening in this relatively new field. Indeed, big established companies in the wealth management sector have been working to come up with ways to compete. The way that they have gone about this so far has largely been to develop the technology or alternatively to acquire it. Large companies such as Vanguard and Schwab do bring in very large revenues (estimated at around $20 billion in assets at least. 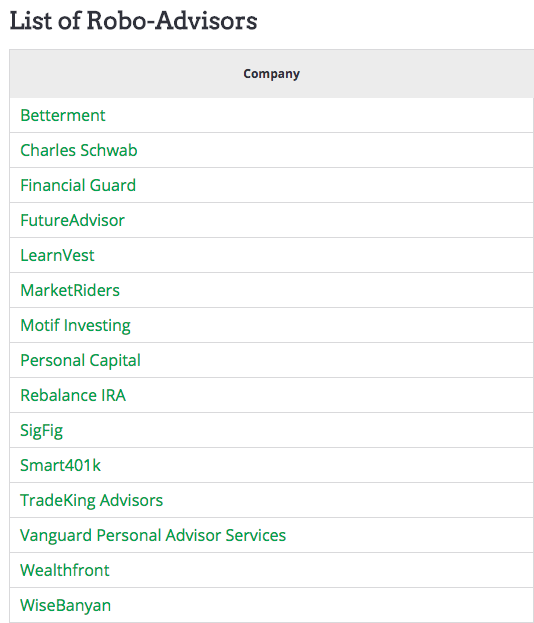 However, smaller, new entrants including companies such as WealthFront, Betterment, and Personal Capital have all been growing at a tremendous pace. It is reported that these three companies achieved growth in their assets under management by at least 45% just in the first seven months of 2015. All of this does not mean that wealth management firms should not react: indeed, they should. Robo advisors are start up companies that cannot be ignored. They are important for the markets that they service because they offer a value proposition of cost. Customers in the sector that robo advisors target are concerned about price, so this is an important differentiating factor for them. Robo advisors compete by working to link up straightforward financial advice through channels that people want to receive it through – namely online and mobile channels. They also add other services that people want like portfolio management capabilities as well as tax loss harvesting and automated rebalancing. Rates are pleasing to the customers. For example, WealthFront charges nothing when customers invest their first $10,000. Meanwhile, Personal Capital charges 0.89% for its phone based financial planning in addition to online services. It is argued that an appropriate response to this is for wealth management companies to focus on why they offer value for money to their target audiences. This will demonstrate to customers why they should use these services instead of turning to robo advisors. It does not have to become a price war. Overall this means providing a range of different advice types across a variety of different platforms (such as online and mobile) to be able to draw some of these bigger new entrants in.